The Railways run five luxury trains including the Maharaja Express, Golden Chariot, Royal Rajasthan on Wheels, Deccan Odyssey and Palace on Wheels. 153 people were recommended by IRCTC for free travel from 2012-2016. New Delhi: A Parliamentary Standing Committee has pulled up the Railways for giving "freeloaders" complimentary tickets to travel on luxury trains even though they have been running with an occupancy of just 30 per cent. The parliamentary panel in a recent report has listed the names of hundreds of passengers who travelled for free on the recommendations of officials of the Railway Board and Indian Railway Catering and Tourism Corporation (IRCTC) on five luxury trains where fares range from USD 500 to USD 650 (Approx Rs 31,637.50-41,128.75 as per current exchange rate). Most of the travellers were railway officials. "The committee are dismayed to note that the provision of complimentary travel is continuing in these luxury trains on the recommendation of either Railway Board or IRCTC or state tourism development corporation," the report of the committee chaired by MP Sudip Bandyopadhyay said. It also noted that such trains had shown only a 30 per cent occupancy. Luxury Tourist Trains are premier luxury services offered by Railways/IRCTC in collaboration with state tourism development corporations. The report stated that 30 passengers travelled free of cost in the Maharaja Express in 2012-13, 97 in 2013-2014, 53 in 2014-2015 and 73 passengers in 2015-2016. "The committee fails to understand the need to provide complimentary travel when these luxury trains have hardly been generating the revenue to meet their own working expenses," the report said. The committee also gave a list of other trains such as the 'Palace on Wheels' and 'Royal Rajasthan on Wheels', with the names of passengers who were given complimentary tickets. The report said from the list it was clear that these two trains were the favourites of the "freeloaders", most of whom had been permitted to travel free by top officials of the Railways. 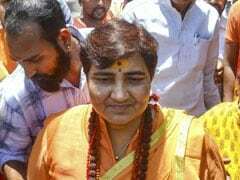 The list of people who travelled free included a former personal secretary and a former Officer on Special Duty (OSD) to Railway Minister and various Divisional Managers of zonal railways. 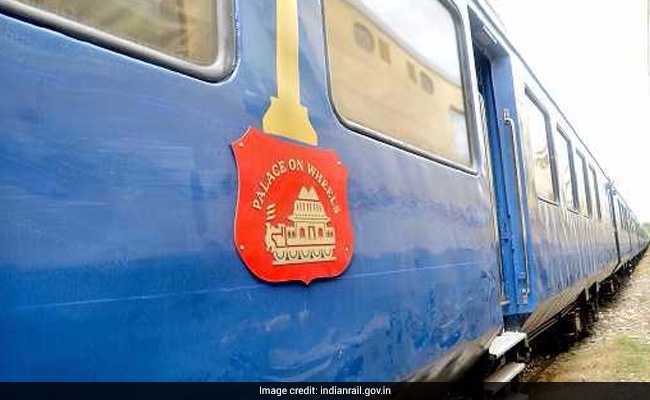 For Palace on Wheels, close to 50 complimentary tickets worth USD 500 per person were distributed in 2011 to top railway officers. In 2012-13, 46 officers were given free tickets worth USD 575 per head, while in 2013-14 close to 50 officers had availed of the luxury travel. In 2014-16, 84 officers travelled by the train on a complimentary ticket, the tariff of which had gone up to USD 600 in the year 2015-16. Similarly, in the case of 'Rajasthan on Wheels', in 2011 -2012, three railway officers were given two passes each, worth USD 650 per head. The number increased in 2012-2013 to seven. Total six officers travelled for free between 2013 and 2016. The committee said it was surprised to find that on the Maharaja Express, the Railway Board itself permitted 21 top level railway officers to travel free from 2012 to 2016. The report mentioned 153 people who had been recommended by the IRCTC for free travel from 2012-2016. "As a public entity financed by the budget, the Railways... have no right to misuse the tax payers' money by providing advances to some people in the form of complimentary travel in these luxury trains," the committee noted in the report. The panel wanted to know the reason why people had been provided with complimentary passes and urged that the system be discontinued with immediate effect. The committee would like to be apprised of the steps taken in this direction, the report said.